Soundcraft Si CompactWe've mentioned the Soundcraft Si Compact on the podcast before, but it's the first time we've gotten hands on with it. Can I say I'm impressed? 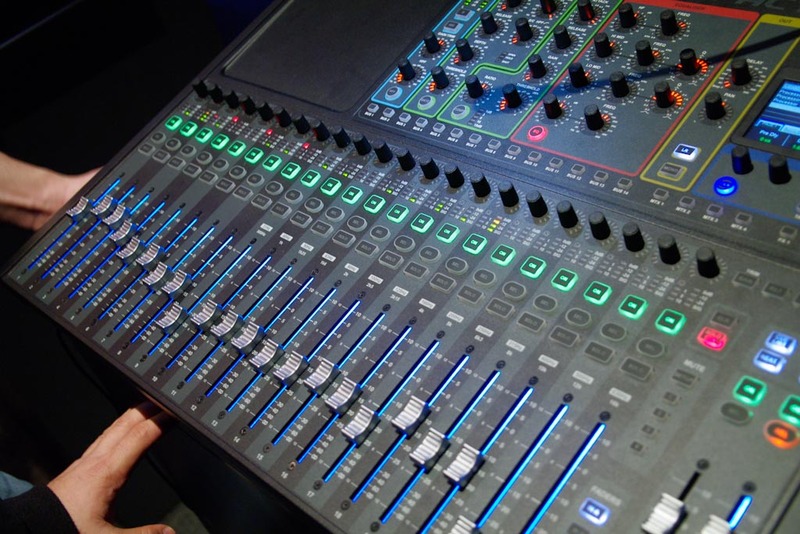 Soundcraft has clearly set their sights on the Yamaha LS9, and fired a pretty strong opening salvo. Available in 16, 24 and 32 channel frame sizes (each model sports an additional 4 stereo channels), and boasting 14 mono aux mixes and 4 matrix mixes, it's certainly interesting. The interface is certainly more pleasing than the LS9. Soundcraft included FaderGlow, a feature found on their higher-end digital desks, to keep you straight on what you're adjusting. It's very easy to punch up sends on fader (they call it TOTEM, Touch Once Easy Mix) on any mix or matrix (and the fader grooves change color depending on mode). They also include a 31-band GEQ on every single output bus, plus 4 Lexicon FX units. The screen is significantly smaller than the LS9, but it is a touch screen. The Si compact has snapshot functions, built-in USB recording, and dedicated controls for all gate, comp, EQ and HPF functions. The 16 channel version is even rack-mountable! That's a lot of power in a small package. Finally, all three Si Compact models accept a 64x64 bus expansion card and are HiQnet compatible. Card slot options include Aviom, CobraNet, MADI (optical), and AES (4 ch. and 8 ch. versions). Yamaha has been resting on the success of the M7 and LS-9 for quite some time now, while other manufacturers are rapidly coming out with very compelling options. 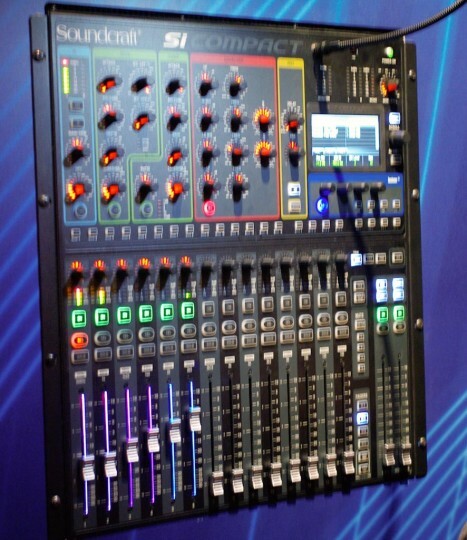 The Si Compact is another entry in the battle for the lower end of the digital mixer spectrum. While it might not be the right choice for everyone, it's certainly worth a look.